Written by an international range of renowned academics, this volume explores how women in antiquity influenced aspects of culture normally though of as male. Looking at politics, economics, science, law and the arts, the contributors examine examples from around the ancient world asking how far traditional definitions of culture describe male spheres of activity, and examining to what extent these spheres were actually created and perpetuated by women. 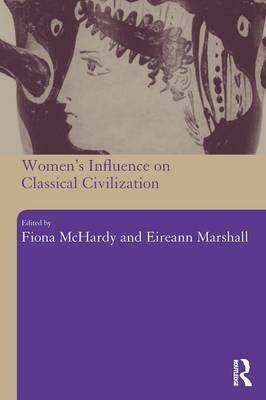 Women's Influence of Classical Civilization provides students with a valuable wider perspective on the roles and influence of women in the societies of the Greek and Roman worlds.